The Avengers new compilation (2016) collects all of their singles for the first time and combines them with the best of their album tracks, all re-mastered from the original tapes. After signing with HMV Records in early 1967 they released ‘Everyone’s Gonna Wonder’, which stormed into the National Top 20. 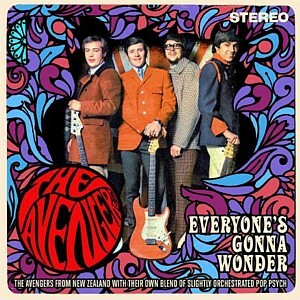 The Avengers’ harmony pop-psych sound soon got them noticed around the world, and ‘Everyone’s Gonna Wonder’ was released in the UK on Parlophone and Jubilee in the USA where Billboard reviewed it as a ‘Hit Pick’. The group spent 1967-69 chalking up hit records while extensively touring, leaving behind eight singles and three albums.